BB&T Bank (Branch, Banking & Trust), a subsidiary of BB&T Corporation (NYSE: BBT), is one of the largest banks in the United States. With over $180 billion in assets, BB&T is the 16th largest American bank. Headquartered in Winston-Salem, North Carolina, the bank operates around 1,850 banking branches in 12 states and Washington D.C. BB&T offers home mortgage loans, automobile loans, certificates of deposit (CDs), savings accounts, and other personal banking products. BB&T's history begins in 1872, with the founding of Branch and Hadley, named after its founder Alpheus Branch and Thomas Jefferson Hadley. In 1913, the company became Branch Banking & Trust Company, or BB&T. The bank has been part of numerous mergers & acquisitions over the years, including deals with Southern National Bank and Colonial Bank of Alabama. Today, BB&T Bank operates in Alabama, Florida, Georgia, Indiana, Kentucky, Maryland, North Carolina, South Carolina, Tennessee, Texas, Virginia, and West Virginia, along with the District of Columbia. BB&T offers competitive CD rates, an array of traditional checking and savings account options, and various other banking products. Its CDs have colorful names such as Home Saver, Add-On, Can't Lose, and Stepped Rate, with each option serving a slightly different purpose. The bank also originates auto loans, home equity loans, and mortgages. BB&T is a mortgage lender in its core 12 states and Delaware, Ohio, and Pennsylvania. The bank offers mortgage options for those buying a home, refinancing, buying a home for the first time, or building a home. 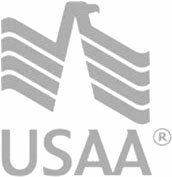 Options include 15-year fixed rate and 30 year fixed rate loans, adjustable rate mortgages (ARMs), and VA products. Ready to see how BB&T mortgage rates and CD rates compare to other financial institutions in North Carolina and beyond? Find out now!